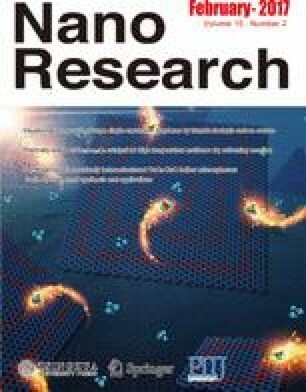 In this study, a boron-doped microporous carbon (BMC)/sulfur nanocomposite is synthesized and applied as a novel cathode material for advanced Li-S batteries. The cell with this cathode exhibits an ultrahigh cycling stability and rate capability. After activation, a capacity of 749.5 mAh/g was obtained on the 54th cycle at a discharge current of 3.2 A/g. After 500 cycles, capacity of 561.8 mAh/g remained (74.96% retention), with only a very small average capacity decay of 0.056%. The excellent reversibility and stability of the novel sulfur cathode can be attributed to the ability of the boron-doped microporous carbon host to both physically confine polysulfides and chemically bind these species on the host surface. Theoretical calculations confirm that boron-doped carbon is capable of significantly stronger interactions with the polysulfide species than undoped carbon, most likely as a result of the lower electronegativity of boron. We believe that this doping strategy can be extended to other metal-air batteries and fuel cells, and that it has promising potential for many different applications. Supplementary material (further material characterization and detailed electrochemical analysis) is available in the online version of this article at http://dx.doi.org/ 10.1007/s12274-016-1303-7. This work was supported by the National Key Research and Development Program “New Energy Project for Electric Vehicle” (No. 2016YFB0100204), the National Natural Science Foundation of China (No. 21373028), Major achievements Transformation Project for Central University in Beijing, Beijing Science and Technology Project (No. D151100003015001) and the Ford University Research Program (URP) project. W. P. W. acknowledges support from George Daniels Educational Trust.